It seems that there are few Civil War era books out there, but this one fits the bill. Twists and turns, all the issues that were part of the day had me turning pages, including the historical facts. This was the war that tore families apart--and this book doesn't back off this tender topic. I've always loved Civil War history and novels, too, so I was glad that the Love Inspired Historical line came out with one. I really liked this story. One thing that stood out to me was the fact that it deals with really touchy topics. Annie Delmar is a recovering alcoholic. Corporal Shane Ross never really had a family. When a poor choice and one night stand leads to a pregnancy, both have a lot of issues to face. If you think edgy topics aren't addressed in the "sweet" romances of the Love Inspired line, then you are wrong. Start with this one. I love a good romance, something to escape for just short time. While I really like the Dry Creek series by Janet Tronstad, this may be my favorite one so far. I rarely shed tears in reading Love Inspired stories, but this touched me so much. All Barbara wants is a home for her and her two children, something that hasn't happened while she was married to her abusive ex-husband who is now in jail for bank robbery. I love this story and if you love Christian romance, you'll want to pick this one up. Dry Creek is one of my favorite series from Steeple Hill. ACFW is headquartered in Palm Bay, Florida. Their advisory and operating boards work to give writers the tools they need to develop their craft, grow ACFW’s extensive publishing knowledge and secure relationships with industry professionals. 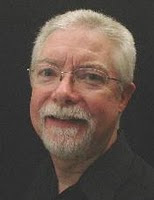 To learn more about ACFW and their authors, please visit www.acfw.com . 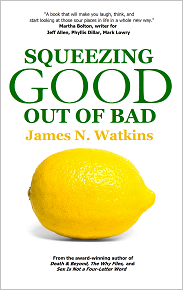 Squeezing Good Out of Bad by James N. Watkins: Win a Lemon Prize! Jim Watkins, an author, husband, father, grandfather, humorist, cancer survivor and over-all glass-half-full guy, not only will help you to be encouraged by the goodness of God in your bad circumstances, he will provide a few laughs along the way. Jim has had his share of life's lemons, came up with a few recipes of his own and shares them with us in his new book. Sour circumstances left you feeling down? Unemployment, foreclosures, divorce, bankruptcy and cancer don't even begin to peel the skin off all the bad news in our world today. At a time in history when the evening news contains more bad than good, people wonder if sweeter days will ever come. In steps James (Jim) Watkins with a fresh perspective on life, love and the pursuit of happiness serves readers a refreshing cup of encouragement and hope. 1. Jim, you've been in the literary world for a while, give us a quick recap of how you got started to where you are today. (Crystal here:) I've prayed for Jim and his family for years. Thanks, Jim, being open and honest about your pain and giving us your thoughts on how to handle such issues. Many of us feel alone when the lemons pile up. It's good to know that "wounded" people can become "healers" and find comfort, too. Now here's the part about you winning. Read on and comment! Yup, yup, I turned another year older. I love birthdays! Since I've gotten to be so old and so wise, I have lots of things to say and advice for people. What's great is I give it out, and I don't even care if you take it or not! The joy for me is just saying it. And yeah, I'm still young enough to know everything. 5. Go back to bed. 6. Keep breathing. Don't even think about it. Take my advice—I’m not using it. I childproofed my house. They still get in. Always being right is an awesome responsibility. I take my responsibility seriously. Your opinion, though interesting, is irrelevant to me. I’m not anti-social. I’m just not real friendly. Yes, it IS always about me. If I don’t write it down, I’ll forget it. Now where did I put my pen? God is good, all the time, whether you appreciate it or not. And loves you more than anyone can ever love you. I won't always be perfect in that, like Him. Do you have something you say all the time that makes you smile? Or quotes that show your personality? Go ahead and share! Felicity Chambers, daughter of wealthy Detroit elites, leads a double life in 1875. While doing charity work she takes on the job in a candle factory for the woman in her charge. Not wanting to appear out of place, she dresses and acts the part, but to her surprise she finds she loves the freedom and the work. Felicity meets a young man, Brandt, while walking to work who works in the copper factory next door. The two agree to walk together and soon become good friends. Trouble comes as the two worlds collide. The setting was unique--Detroit during the factory boom in 1875. Stockton captures that world and its challenges well. As this is the first of a three-book series, I will be reading the next two historical romances set in this city and time. 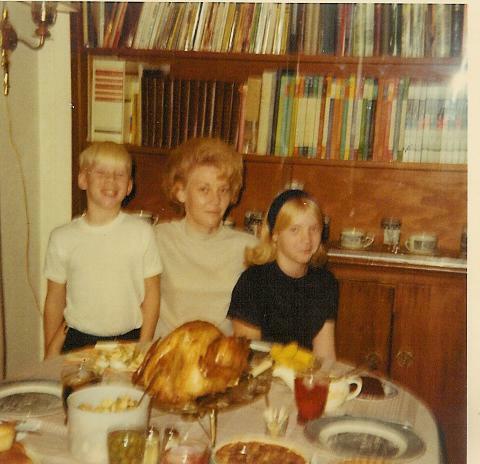 This is my brother, mother and me in about 1971 on Thanksgiving Day. (The photo was taken by my dad.) That was one year it was just "us." If we could, we usually traveled from Indiana to Tennessee to gather with my dad's people, but some years we gathered with my mom's sister and her 5 kids. Thanksgiving was always my favorite holiday. I had less worries about what was going to happen, it just covered a few days instead of being over a couple weeks, and we got to eat amazing food. On the Monday following the good time I had a doctor's appointment. He asked me about our plans and was astounded at how many people were there. He asked me if we rented a hall. I had to laugh. Then I told him what kind of family films we had watched. Since he never said too much, I always wondered what he thought. (He had a strange look on his face.) But I was happy and healthy, so I suppose he didn't dwell too long on this patient. Even in the worst years I would reflect on how thankful I was and I still loved Thanksgiving. It's a peaceful holiday. This year was the first time that I had to struggle to find just what it is for which I'm thankful. But looking back and finding the pleasant moments was a start. I panicked just two days before because one of my cousins (she was my matron of honor in our wedding) had surgery for brain cancer. She's young, beautiful and doing important things. But even in the midst of thinking that this stinks! there were moments of thankfulness. So, while I'm thankful for many things, I'm praying like mad for Annette. If you think of me, pray for her. And for that I'm thankful, too--I have people who will pray when I ask them to do so. Jonnae's example and legacy is how to really live, think, and walk in faith when on the ropes. This book truly uplifts the reader even while you experience the emotional and physical pain along with Jonnae, Denise and their loved ones. Moments of humor and deep insight are hallmarks of this book. You will find quotes to uplift you in your own times of trial. Reading this book will give you tools for courage in your own situations. There have been a lot of books written, both fiction and nonfiction, about cancer and death, but this book is one that will help readers understand, and find truth and faith in the journey. It's one I recommend to anyone--you will grow and then, stand up and cheer when Jonnae finally is born "in heaven," even as it makes you cry. Cara Putman talked this week on Steeple Hill's Love Inspired Suspense books' site about her writing journey, and how she does it. And that's not an easy thing--how she writes amidst all else she does. She's a wife, mom to 3, homeschooler, attorney, university instructor, friend, daughter, sibling, ACFW advocate, active in her church AND a published author. I'm sure I'm missing something that she does in addition all those roles! Do check out Trial by Fire at eharlequin's Love Inspired Suspense line of Steeple Hill. I love reading Love Inspired Suspense and Cara Putman doesn't disappoint me with this latest offering. If you read her first story in this series, you will recognize a few of the characters, but this book can also stand alone. Deputy county prosecutor Tricia Jamison is trying to move forward and help as many people as she can, but the domestic violence cases pile high. When arsonist fires break out all over town, including the first at her mother's house, she knows she will have to get help from fire fighter, Noah Brust. Of course, Noah's deceased dad's fire fighter reputation was questioned due to Tricia being unable to protect him, and Noah was shredded on the witness stand a year ago. Tension runs high and the fire investigations bring the two ever closer together and ever closer to the arsonist. Once upon a time is an old way to start a story. Trite and tried. Familiar and full of expectations, but depending on who is doing the telling, you can't expect every author's twists and turns. There is a hope with the beginning being "once upon a time." That is what I look for when I'm reading someone else's story. I look for a different voice, a different perspective, even if it may be the same ol' place or the same ol' time span. How many ways can you tell a love story? Last night I saw 27 Dresses for the first time. Ok. The format is very familiar to me. I told my husband that it was like reading a Harlequin romance. High concept and somewhat predictable. Still, I loved it, just because I knew no matter how bad things were going to get, it would somehow turn out all right. And I loved all those dresses. What silliness and fun. Do you have a familiar old story that you go back to over and over? Characters you want to revisit? A favorite genre? Or do you like to mix it up? Tell me your favorite stories--the ones you go back to when you need comfort. I read Linore's first two books in this series, Before the Season Ends and The House at Grosvenor Square. They are Christian Regency books and capture you to take you away. Linore is so knowledgeable about the time period and has quite a lot of information on her web site, too. She includes a glossary in each book, which I appreciate. Because she writes so well the meanings are self-explanatory in context,so you aren't flipping back and forth much. Ready for high tea? But there are also quite a lot of hijinks in her books, too! If you love Pride and Prejudice and Mr. Darcy, well, you will probably like Linore's books, too. Fun! There's a high school in Texas where they walk the talk. This story deserves to be passed around. I really, really liked the things he had to say in this book, and I took the free test on his web site. Discovering my strengths, though, was a bit of a journey. I had to take the test a few times in order to realize how I would REALLY react to the situations presented. After reading what he said in the book, I soon found what really represented my true self. That was the first step. Then, I went back and reread the book with my information/results of the test. My only complaint with the book was that I needed more information on my particular profile and how to implement this knowledge. I still am not sure how to practically find my moments of strength, though I'm quite motivated to do so. I don't know if by reading some of his other books that I can then find practical ways to come into my strongest life, or not. But I'm anxious to learn more. I took this test put out by Marcus Buckingham and then bought the book(Thomas Nelson) While reading the book, it became apparent to me that maybe I had not answered the questions according to how I REALLY would act, so I retook the test. I really thought about these questions and just how I would react or choose. This time I came up with a totally different outcome. So, wanting to make sure the test outcome was valid for me, I took it days later (so I wouldn't remember the previous answers.) This time my results were the same as the second time. Going back to read the book again, these results seemed to make me relax. I saw that it was more in line with the moments in my life when I felt strong. Your focus is instinctively toward the other person. Not her feelings, necessarily, but her understanding, her performance, her skills. Any job where you’re paid to facilitate the success of others. Any job where you’re paid to produce new content. What made me realize this was more accurate was the "Be careful" parts to both. I can think tooooo long. I also think ANYONE can have potential and it sometimes takes me thinking too long to realize that there are a lot of things which must line up in a person for them to learn something. Now, what were your test results? Do you think it was accurate? If you think it might be off, then try answering the questions again and see what happens. Wait a couple weeks and then retake the test. And while I really like what this book has to say, I wish that it gave me more practical tips on how to get into my strengths and what I should be doing to make my life strong NOW. You know that old saying if you don't aim at anything, you won't hit anything? (Something like that.) I really understand this as I used to compete in trapshooting. Making analogies between shooting and writing became so easy for me. Let me tell you just a little about trapshooting. In trapshooting it is tricky because a clay target is thrown out of a traphouse by this machine that only has so many angles, but you never know which way it will come out. You stand on one of five stations, and each time you change stations, the picture changes. There are things like wind, heat (that gun can get hot!) and distance to contend with your shot. So over the course of writing this blog, I'll probably refer to trapshooting now. If you just "throw" the end of your gun toward the target, you will not hit your target. Focus. Focus on the target. This is the word I wrote down in my "goals" folder I started. Think about what kinds of goals you have. Here's a template I use. You might want to try it. * Pray specifically for someone other than my immediate family or self each day. Those of us in shooting have a saying to encourage our fellow shooters--"Break 'em all!" Let me know some of your goals and I'd love to hear what your current "word" is that will help you with your goals. I've been working on my own fiction (as soon as I finish two more clients, I'll concentrate even more) and things are starting to come together for me. I will still post books I'm recommending, author intros/subjects, writing advice, but I'll also focus more on things I'm interested in, as well, maybe as related to my own writing. It's a process. I have been looking at the kind of fiction I read all the time to see just where I should be writing myself--and it seems to be romance as the overwhelming theme--romantic suspense, sweet romance, historical romance, medical romance and romantic comedy. I'm just a romantic at heart. If you're looking for books to read, do check the link over to the right for the Fiction Finder on the American Christian Fiction Writers site. Awesome tool for readers. And I do hope you'll join me as I will determine my post days. Let's meet on Monday and Thursdays and see if that works. Anything in particular you want to talk about? If you could ask me any question, what would it be? I wasn't able to attend the American Christian Fiction Writers conference in Denver this year and was feeling pretty low about it. I moped around all week. It was torture logging in to see all the photos and posts and I was missing Debbie Macomber's speaking, as well. Then, last night I logged into my Facebook page and spied Lena Nelson Dooley's Tweets about winners for Book of the Year (published authors) and also the Genesis unpublished writers contest. Here are the results. Number 1, use this list to find books to read; Number 2, look for these Genesis winners to be published in the future. One of my good friends, Christine Lindsay, won the historical category for her story, Unveiled, and I think it is one of the best books I've read this year. Congratulations to all winners, but also to all entrants. All of you are winners in my book! If you are a Christian writer, my advice is to join American Christian Fiction Writers. If you are a reader, do join the American Christian Fiction Writers bookclub and check out the best authors in the world there. There's something for everyone there! • Romantic Suspense- Jan Warren, Katherine Octavia, C.I.A. I've been asked a lot recently for a list of books on writing to read. 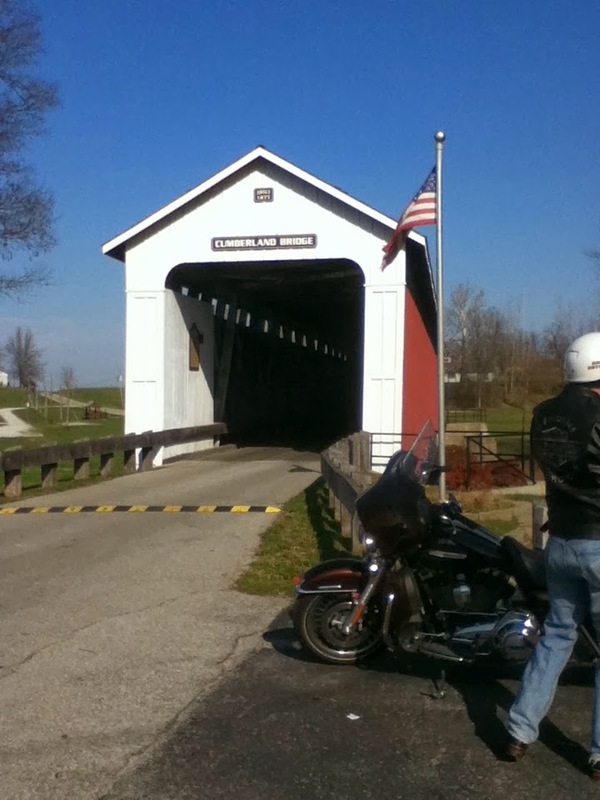 Today for writing advice I pulled out romantic suspense author, Colleen Coble, who is a fellow Hoosier. Here's how she answered my questions. "Sure. All those feelings of rejection and inferiority come from the teen years. LOL! Lots of actual incidents from my childhood and teen years have made it into my work, too." "Read magazines and newspapers and tear out anything that inspires an idea, even if it's not fully fleshed out. Watch documentaries and the history channel, even if you're not writing a historical. History is a great teacher of the human condition and people don't change, just technology around us. Be an observer of people, too, and jot down any interesting circumstances you notice." "I’ve been a Hoosier all my life and am proud of my home state. When I first started writing, my dream was to have a book in the library. That’s it. Just to see it there in the place where I have spent so much of my life. 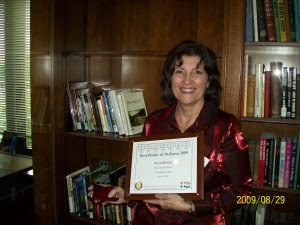 I just won a state award (Best Books of Indiana–Fiction) for the book Anathema and what an exciting weekend it was! They had me sign the book and place it into the Indiana Authors Room collection. My name and the title hangs on a plaque outside the room now too. My parents came along, and it was such an honor to win this award!" Even though she knows her Amish parents would disapprove, Hannah Schwartz slips away to meet her boyfriend, Reece Ericson. When she returns home, Hannah discovers that her parents have been murdered and their prized handmade quilts stolen! Years later, a shunned Hannah returns to the scene. Can her family—and her faith—be restored? 336 pages, hardcover from Nelson. I'm often asked about agents, but I have never listed any on this blog. Over at Seekerville, they have posted a blog that lists all the interviews with agents that they have done. 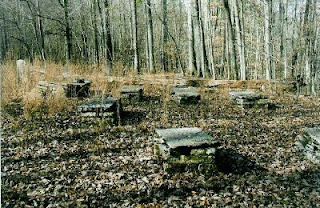 Seekerville is a topnotch blog hosted by many writers, and it's a place I visit all the time. If you are interested in agents, getting one of your own, check this out. So, in the next few posts, I'm going to share what they said, starting with Sarah Anne Sumpolec. What have you used from your growing up years in your writing?Interestingly, I have found that I pull from much of my growing up years and use that in my writing. I was in drama throughout school so sometimes my characters are involved with a play production, or I simply use my background in acting to help me develop my characters. I also valued education, so you won't find my characters not caring about school. Writing is an extension of who we are, so the more well-rounded we are (and willing to try out lots of different things), then the more well-rounded our writing will be. This first book in the Becoming Beka series introduces you to sixteeen-year-old Beka Madison. She's lost her mom, she's confused about guys and has a secret that she doesn't want to tell anyone. It's enough to make a girl feel crazy. But it's when her dad starts thinking she's lost her mind that things start to really fall apart. Be sure to check her web site for the rest of the series and other resources, like her online story, Totally Unfamous. Over on When I Was Just a Kid, this is the book Deborah Vogt is giving away on her interview. If you're interested, go over and leave a comment to enter the drawing for it. Mattie Evans, a veterinarian who grew up in the famous Flint Hills of Kansas, is having a tough time gaining the confidence of the local ranchers. Her biggest supporter is an old rancher named John McCray, who also loves the Flint Hills and ranching. When an injured horse brings Mattie into contact with John's son, Gil, who has been out of touch with his dad while playing pro football, conflict strikes. This is a gorgeous book and Vogt's love of horses and the famous last tall native prairie grasses in the world gives a wonderful flavor to a story with plenty of conflict. Contemporary issues and real life troubles bring it all home. This is one of my favorite books this year so far. Since we are under attack these days, threatening our liberty, our freedom to express our opinions, or to even disagree, even though our nation was established under the precepts of Judeo-Christian ethics, I thought I would praise God today through the preambles of state constitutions while I am still able to do so. We the people of the State of Alabama , invoking the favor and guidance of Almighty God, do ordain and establish the following Constitution..
Alaska 1956, Preamble We, the people of Alaska , grateful to God and to those who founded our nation and pioneered this great land. 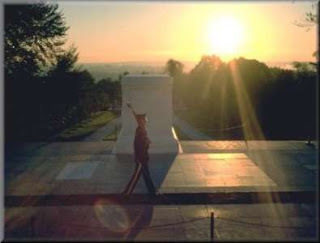 Hawaii 1959, Preamble We , the people of Hawaii , Grateful for Divine Guidance .... Establish this Constitution. Illinois 1870, Preamble We, the people of the State of Illinois, grateful to Almighty God for the civil , political and religious liberty which He hath so long permitted us to enjoy and looking to Him for a blessing on our endeavors. Indiana 1851, Preamble We, the People of the State of Indiana , grateful to Almighty God for the free exercise of the right to choose our form of government. Iowa 1857, Preamble We, the People of the State of Iowa , grateful to the Supreme Being for the blessings hitherto enjoyed, and feeling our dependence on Him for a continuation of these blessings, establish this Constitution. Kansas 1859, Preamble We, the people of Kansas , grateful to Almighty God for our civil and religious privileges establish this Constitution. Kentucky 1891, Preamble.. We, the people of the Commonwealth are grateful to Almighty God for the civil, political and religious liberties. Louisiana 1921, Preamble We, the people of the State of Louisiana , grateful to Almighty God for the civil, political and religious liberties we enjoy. Maine 1820, Preamble We the People of Maine acknowledging with grateful hearts the goodness of the Sovereign Ruler of the Universe in affording us an opportunity. .. And imploring His aid and direction. Massachusetts 1780, Preamble We...the people of Massachusetts, acknowledging with grateful hearts, the goodness of the Great Legislator of the Universe In the course of His Providence, an opportunity and devoutly imploring His direction. Michigan 1908, Preamble... We, the people of the State of Michigan , grateful to Almighty God for the blessings of freedom, establish this Constitution. Mississippi 1890, Preamble We, the people of Mississippi in convention assembled, grateful to Almighty God, and invoking His blessing on our work. Nebraska 1875, Preamble We, the people, grateful to Almighty God for our freedom establish this Constitution. Nevada 1864, Preamble We the people of the State of Nevada , grateful to Almighty God for our freedom, establish this Constitution.. .
New Hampshire 1792, Part I. Art. I. Sec. V Every individual has a natural and unalienable right to worship God according to the dictates of his own conscience. New Jersey 1844, Preamble We, the people of the State of New Jersey, grateful to Almighty God for civil and religious liberty which He hath so long permitted us to enjoy, and looking to Him for a blessing on our endeavors. New Mexico 1911, Preamble We, the People of New Mexico, grateful to Almighty God for the blessings of liberty.. .
New York 1846, Preamble We, the people of the State of New York , grateful to Almighty God for our freedom, in order to secure its blessings. Ohio 1852, Preamble We the people of the state of Ohio , grateful to Almighty God for our freedom, to secure its blessings and to promote our common. South Carolina , 1778, Preamble We, the people of he State of South Carolina grateful to God for our liberties, do ordain and establish this Constitution. Texas 1845, Preamble We the People of the Republic of Texas , acknowledging, with gratitude, the grace and beneficence of God. Utah 1896, Preamble Grateful to Almighty God for life and liberty, we establish this Constitution. Virginia 1776, Bill of Rights, XVI Religion, or the Duty which we owe our Creator can be directed only by Reason and that it is the mutual duty of all to practice Christian Forbearance, Love and Charity towards each other. West Virginia 1872, Preamble Since through Divine Providence we enjoy the blessings of civil, political and religious liberty, we, the people of West Virginia reaffirm our faith in and constant reliance upon God .. I've not been posting here because I just have nothing to say. Well, that's not true. I just don't want to say anything to reveal what I'm truly thinking about! I have listened to whispers from the past in my ear. I don't feel in control. Sometimes you shouldn't be in control! (Just let God be in control.) Anyway, I have my eyeball on you all, but just haven't said too much here because I'm mulling over what my direction is going to be, what I need to put my energies into. I just want my Heavenly Father to be pleased with what I'm spending time doing. He's watching me and expects me to do those things that He wants for me. I see you all doing wonderful things and I'm watching to see if there are clues or messages for me in those things. So, while I love blogging, I'm not sure what I'm doing with it right now. Maybe I'll put up some of my children's stories that I can't sell, or maybe I'll put up some excerpts from a book I wrote called This Ain't No Glamour Detail? All I know is that I'm restless and know I am spinning wheels. Faith, Hope, and Love chapter of RWA (Romance Writers of America) had the Awards Ceremony for the Inspirational Reader's Choice Contest today. Maybe you can find something to read on this list, if you'd like to try romance. Congratulations to all~! 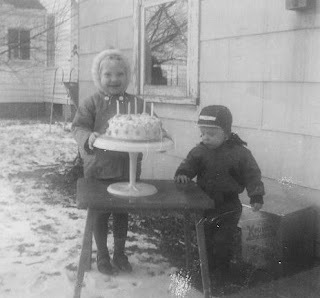 Come over to When I Was Just a Kid and read about Diana Lesire Brandmeyer's childhood and see her photos! And leave a comment to be entered to have a chance to win Diana's book, Hearts on the Road! Author Ginny Smith is teaching a class online on how to write a Christian novel! Sign up TODAY as it starts July 6th. Ginny is a great teacher and has written many novels herself. Winners of the review of the first five pages of their fiction manuscripts on Christine Lindsay's blog were Mary Allen and Debbie Fuller Thomas! Ironically, I just finished Debbie Fuller Thomas's book Tuesday Night at the Blue Moon. Fabulous voice and an intriguing story, Debbie does first person POV from two characters to make this an intimate story. Marty Winslow's middle daughter of three dies from a rare genetic disease--which leads to discovering that she was accidently switched as a newborn. Heartbroken over her daughter's death, and finding out that her "real" daughter is being raised by grandparents after her parents died in a fire, Marty fights to win custody of Andie, her biological daughter. Complications occur with the fact that she's a single, divorced mother living with her father (after her mother's death from breast cancer) and two other daughters with issues of their own. The emotions are real and the unique two-prong 1st person POV characters of Marty and Andie cause the reader to understand both viewpoints. She does a superb job of tackling both. I look forward to more from this talented author. 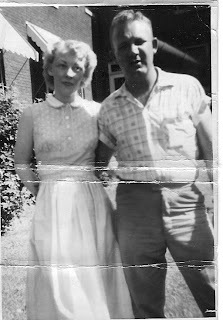 This is a photo of my mother and father in front of Irene Byron TB Hospital in Ft. Wayne, Indiana back in the late 1950s. 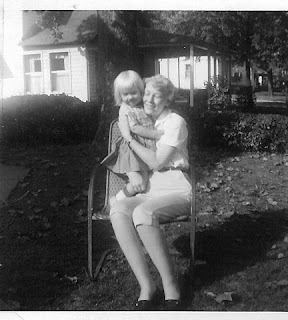 My mother was a patient there and I was sent to Tennessee to live with my dad's parents while she recovered. I would not even know her when she finally made it out as I was less than a year old when I was sent to my grandparents. I called my grandparents "Mama" and "Daddy." When it was all over I ended up with three Mamas (my teenaged aunt, Linda, was like a "mama" to me, too) and two Daddys. My mom and dad died in 1997 and 1999. I still miss them. My grandmother is still with us and if she lives, will turn 95 in September. Granddaddy died in 1972. I still miss him, too. My friend and colleague, Christine Lindsay, hosted the story of my heart on her blog. I'm giving away a chance to win a review of your first five pages of your fiction manuscript if you leave a message on that blog (with your email address.) Please stop by. What's the story of your heart? Everyone has a story, but God plants missions for us by our own stories. The very day that Mama got me back! 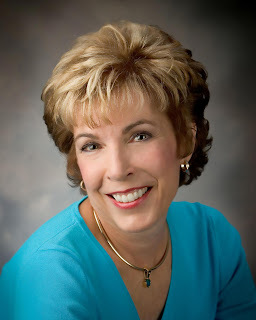 My good friend at Christian Reader/Writer Connection, Susan J. Reinhardt, awarded me the One Lovely Blog Award, along with so many other good blogs! I'm so honored. Part of the prize is to award it to other blogs that I read. Besides giving it back to Susan, I listed some more blogs to visit below. Try Terra's Garden for "musings on gardening tips, my journey as a Christian and a writer, tips for new writers, kitty cats, song birds, flowers, book giveaways and more!" She also has this site for her book on scrapbooking for Christmas which will start up again in July. My friend and fellow first reader, Sabrina at Hijinks in the Heartland, blogs about books and the writing life in between taking care of her family, working in a busy eye doctor's office and caregiving for her parents. Sometimes she gives away books! Janet Dean at A Cup of Faith talks about her writing and her life. She's a good historical romance writer and a really lovely person! Interested in writing a short romance? Only 5000 words. I saw this in romance writer, Leigh Michael's newsletter. Leigh is so generous with her knowledge and has a great web site. If you are interested in writing romance, do check that out, too. PBL Limited, a commercial royalty-paying publisher, is actively seeking submissions of ROMANTIC SHORT STORIES for an anthology collection scheduled for publication in late 2009. Authors will be fully credited, and copyright for each story will be held in the author’s name and acknowledged in the book. Royalties will be paid to each author selected. Royalty payment/percentage will be based on how many stories are included in the collection. The collection will be published as a perfect-bound trade paperback and as an e-book. The published volume will be made available to readers around the world through amazon.com, and will be available to bookstores at trade terms through the publisher. The collection will be headlined by romance author Leigh Michaels, who has agreed not to accept royalty payments for her story/ies in order to increase the royalty payment to other authors. Short stories should be 5,000 words or less. Stories should have a romantic theme. Non-traditional characters and situations are invited (for instance, heroes/heroines who are older than usual). Heat level is open to the author’s judgment, but should be appropriate for the characters, the setting, and the situation. Sensual encounters should include one man and one woman only. Graphic descriptions of violence, including sexual violence, are not compatible with a romantic theme. Settings may be contemporary or historical. The ending should be resolved, upbeat, and appropriate to the characters and the situation – but not necessarily happy-ever-after with wedding bells ringing. Work submitted must be the author’s own. Stories must not have been previously published in any version, or be currently under contract. The publisher will offer a standard contract detailing the terms. Limit of two entries per person. Deadline for submissions: September 1, 2009. Submissions should be emailed as WORD or RTF documents, attached to an email which includes the author’s name, pen name if desired, snail mail address, email address, and daytime telephone number. The email should include a one-paragraph description of the story – title, sub-genre, heat level, and what makes the story unique. The author may include a paragraph about his/her writing history and publication credits, but need not include this information. In the subject line, put "ROMANTIC SHORT STORY SUBMISSION". Authors whose works are selected for the anthology will be notified by email on or before September 15, 2009.
guidelines and submissions information posted May 6, 2009. What a gift Liparulo has for writing a thriller! He grabs you by the throat, and brings in a hero to rescue you. It's highly personal, intense. Cara Putman, a one-woman Whirlwind, gives insights, opinions and advice, as well as books (she's giving away one right now--head over there!!) Her spiritual depth and transparent emotions are one reason she has written such beautiful historicals and in depth romantic suspense. Lee Warren at Little Nuances posts more than just sports (though he does that, too, which is AOK with me!) Right now he has a post on what's on his iPod. Sometimes he talks about movies or books, and he has this sensitive side where you get to see behind the curtain of tough guys to a real, live beating heart. Since I'm a Warren, I kid that he's my cuz (and maybe he is!) but I'm proud to know him as my brother in Christ, too. Delia over at Gatorskunkz & Mudcats is clever and full of love and devotion. She has a gift for hospitality and with kids. I like her quite a lot. She was one of the first people to welcome me to Blogland. Bonnie Bruno at Macromoments ("because life happens between the lines") may have one of the most beautiful blogs in photos and words ever. She's an author and photographer whose kind words have buoyed me up many a time. Leave some kind words around the Blogland today. Start with some of the blogs I point out. I'll probably mention more in coming days. I read romance manuscripts in my day job, and have read countless published romances. You'd think after awhile they would all be the same. Not so. Rachel Hauck has penned a romance that took my breath away. She starts with the setting in Beaufort, South Carolina (what could be more romantic?) Brings in characters that you are sure you would find there, whom you want to meet and know. Then, she adds surprises and grabs your emotions. Sigh. I didn't want this story to end. If I could write a romance and pick how I wanted readers to feel afterwards, I'd pick mine to make readers feel like this one! She already did it and did an amazing job. (And isn't the title clever??) I loved this love story--that starts with Elle. Cathy Marie Hake never disappoints me when I choose her historical fiction. This time, guess what? No exception to that rule! She once again hooks me in with characters that take amazing steps of faith, detailing it all with authentic historical touches, which takes me back in time. She doesn't sugarcoat the ugly sides of life, and doesn't give pat answers, either. The peek into Ellis Island was wonderful, too. I am smiling through the tears from this book. I can't think of a more perfect story. Hunter's skill at weaving this story is so flawless, I barely knew I was reading a book. And I couldn't put it down and didn't want it to end. Funny how that works! It's amazing how she could actually pull off writing a "marriage-of-convenience" story in contemporary times when people don't bother to marry at all.You really have to see how she does it. The setting is the icing on the wedding cake. The creative writing class at Eastbrook High School were a nosy bunch! (Perfect for writers!) They asked such excellent questions that I had to share them on my blog. How long does it take to review a book? First, you have to read the entire book—I usually have a deadline—then I break the book down by the synopsis, characters, setting, plot, strong points and weak points. I can do a review in 2-3 days if I need to do it. But it is important to read the entire book in order to be fair and back up your judgment of the book. Most often I have more time than a few days. Sometimes I have up to a month to read and write the review. Depending on the length of the book and how much I need to report on will determine how long it takes. I do both published books reviewing (for magazines) and reviews of unpublished books (manuscripts.) If you mean to do book reviews on published books, that again takes as long as it does to read a book, but I usually only write 150 words for those. For the unpublished books, it depends on for whom and why I'm reviewing the manuscript, but if it is for an editor/publisher, I can write anywhere from 4-12 pages of notes on various aspects. Some books will only take 3 hours, while others I can spend 24 hours (in a succession of 8 days, spending 3 hours a day on it.) It depends on how much I need to comment on, and how much actually needs commentary. For the 150 word book reviews I got so fast at doing them that I could nail my word count in about 3 passes of writing the review. I'd get down the initial thoughts, sweep through correcting, cutting words to hit the count, then sweep through again to make sure I brought out the main points. Loved doing those! My column included 4-5of those and Church Libraries magazine would send me anywhere from 4-6 books to review per shipment of books. I was slower when I first started but by now I've done both types of reviews for so long, that I can work much faster and more efficiently with an expert eye to the details I need to focus on. 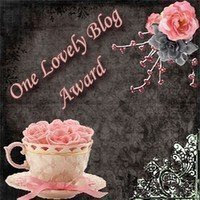 My good friend at Christian Reader/Writer Connection, Susan J. Reinhardt, awarded me the One Lovely Blog Award, along with so many other good blogs! I'm so honored. Part of the prize is to award it to other blogs that I read. Besides giving it back to Susan, I listed some blogs to visit below. LeAnne Martin at Christians in the Arts, a simply gorgeous blog where she posts every Monday and Thursday on the Arts and how Christians are participating in them. 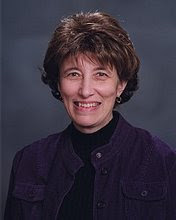 Sharon Lavy at I Dream of Writing for God for sometimes fun (funny) posts, book reviews and interviews with authors, as well as ponderings on her own writing journey. Nancy J. Ring at Anchors, Signposts & Wanderings where she beautifully illustrates in pictures and words the deep longings and soul-searching thoughts. I will continue this post tomorrow to share with you more lovely blogs. Do check these out.Leave comments to let them know that Crystal sent you! Do You Want to Write Fiction? I'm out for a couple days, but if you haven't read this entry, and you've been thinking about writing, go to this site and read Cara's entry to help you to decide whether writing fiction could be for you. Writing takes a perserverence and personality quirk combo. As Stephen King has said, "If God gives you something you can do, why in God's name wouldn't you do it?" (Stephen has his own way with words...but you get the point.) If God calls you do something--you must do it. Read Cara's entry today! "Is ACFW for You?" 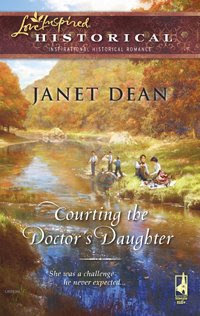 Today my guest at When I Was Just a Kid is Janet Dean, author of Courting the Doctor's Daughter. Go over there and leave a comment to win a free copy of this book or to check out the first chapter and find out more about Janet's childhood and how it's influenced her writing. The second book in the Courting series, Courting the Doctor’s Daughter released in May 2009. A widow with three boys to raise, Mary Graves has no time for peddlers of phony medicine. She’s a dedicated healer working alongside her doctor father. When a handsome stranger blows into town with his “elixir of health” and asks questions about her newly adopted son, Mary’s determined to uncover the truth behind all his claims. Once the reckless heir to a Boston fortune, Dr. Luke Jacobs travels the country with his herbal medicine while searching for his long-lost son. After meeting the feisty doctor’s daughter and her youngest boy, Luke has found what he’s been looking for at last. But can he convince her to let him into her home, her family—and her heart? I spoke in a convocation at an elementary school on Monday and just had a blast! It reawakened my lifelong teaching bug, as well as intertwined with my love of reading and teaching reading, sharing my passion of reading. Maybe I'll have more to say about this later. Please, if you are a regular reader here, pray for me and my direction in this area. I've had several open doors recently so of course, while I'm dense, I am trying to listen to God's leading. Our hearts are broken with the sudden death of Dr. Fred Osborn, my husband's partner in ER medicine. His celebration of life was yesterday and the church was packed. I was uplifted by the beautiful service full of verses and testimony, as well as the hymns played throughout, including my favorite, How Great Thou Art. We finished the service singing, When We All Get to Heaven. One of my favorite ways to end my letters has always been "If I don't see you here, I'll see you THERE!" And I do hope to see you all THERE. Talk to me if you want to know more! our youngest son, MAX, is graduating from high school on Friday. I feel just a little overwhelmed. He passed his EMT certification on Saturday, which means he's fully qualified to be on an ambulance and save lives. So, if I'm not getting back to you, do email me again, as I sort of got sidetracked. I also am working on a client's manuscript, so need to finish that.